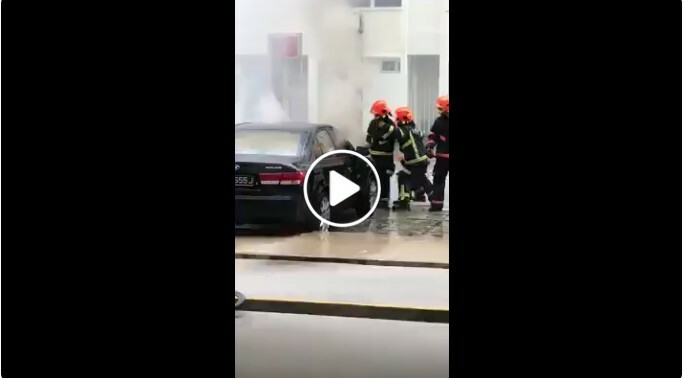 A car caught fire at an open air carpark located at Yishun Blk 851 in the afternoon on Friday(06/04/18). SCDF was alerted to the incident at close to 5pm nd managed to extinguished the fire. No injuries were reported. But residents in the area was affected by the smoke from the fire. Next Article DRIVER DRIVES AGAINST TRAFFIC CAUSING JAM AND EXPECT OTHER VEHICLES TO GIVE WAY!